Today’s Pedal Line Friday submission is from Mark Ruark. If you have a pedal line (doesn’t have to be in a board) for your rig, please email me a photo, bio, description of pedals and routing to pedalline@nulleffectsbay.com. Every Friday I’ll showcase a pedal line submission. Make sure you include any links to your band or music page. My current rig is one of three Epiphone guitars: a Les Paul Special I, a Les Paul Studio Custom, or an ES-339 Pro.My amp is an EHX 22 Caliber into an Epiphone 1×12 cab. 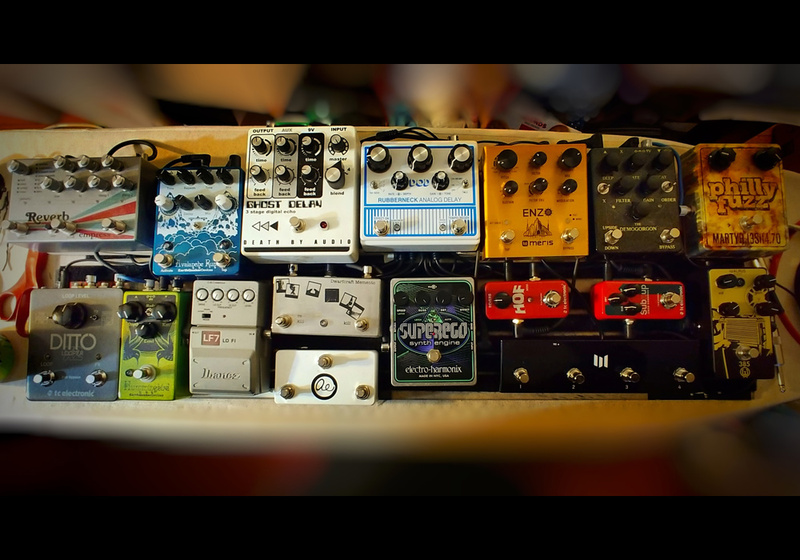 The post Pedal Line Friday – 3/22 – Mark Ruark appeared first on Effects Bay.